Alke' has a number of different passenger carrier solutions and depending on your specific needs, you can choose configurations that can accommodate from 4 up to 10 people and as you drive around, you can protect the environment and move silently. Also available in an explosion-proof version with a number of different options to choose from. The configuration with 2 seats in the cab + 2 seats on the people-carrier module is useful if you don't always need 4 seats. 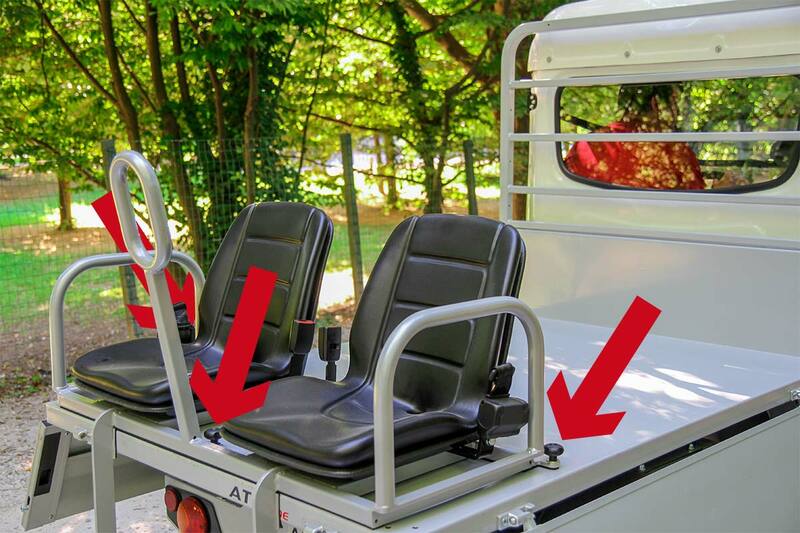 Here the 2-seater people-carrier module with separate seats, platform and seat belts (not type approved for road use) can be attached to the vehicle in 2 minutes by way of a quick coupling which transforms the rear loading area, something that is very useful in holiday villages for transporting luggage and people. This gives you two vehicles in one. 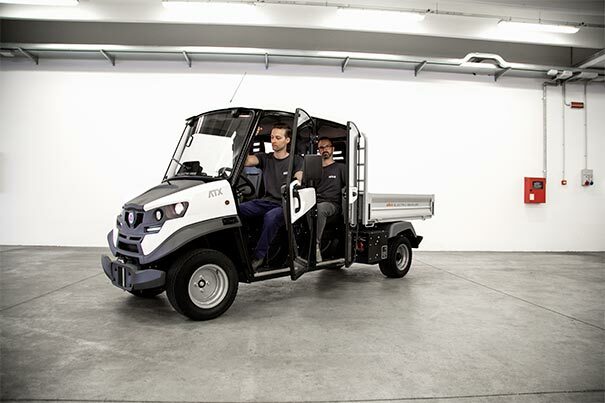 Alke' double cab vehicles, with 4 seats in the cab, are ideal for transporting materials and work groups at the same time. Available with or without doors, they are mainly used in the industrial and tourist sectors. This solution gives you a loading area that can be used whenever you need it for equipment or luggage. 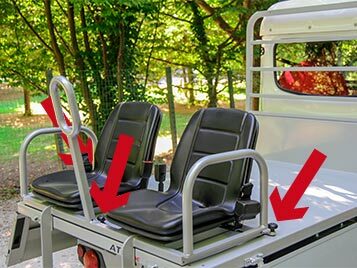 The double cab with rear bench versions can be used to transport up to 5 people in private areas. This means that they can offer significant savings in terms of costs and time whilst still offering high load and towing capacities. 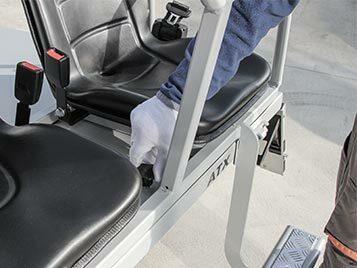 The double cab with removable people-carrier module versions can be used to transport up to 6/7 people in private areas depending on whether rear seats or a bench are installed in the cab. 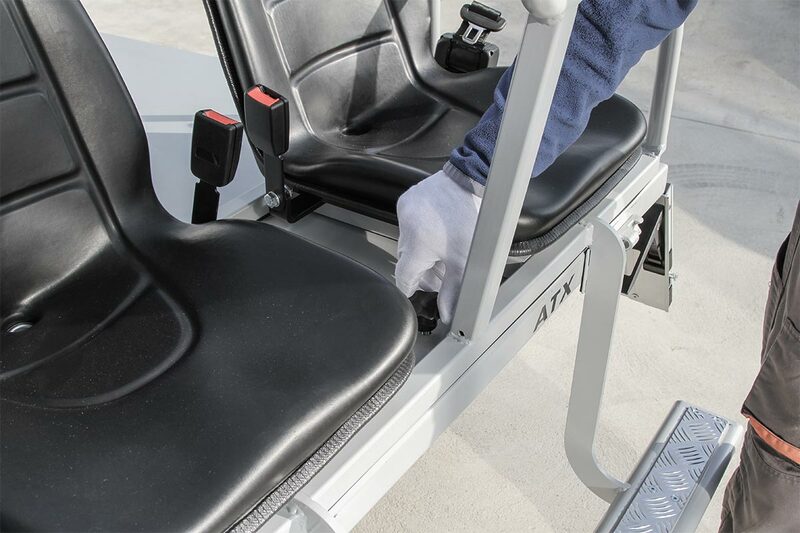 This solution is ideal if the 2 seats on the people-carrier module are not needed at all times since the module can be easily installed or removed in a couple of minutes to create a multi-purpose vehicle. The people-carrier module with a double bench version is a proper electric shuttle which can accommodate up to 8 passengers. Compartments for luggage or equipment can be found under the benches and opened both from inside and outside. 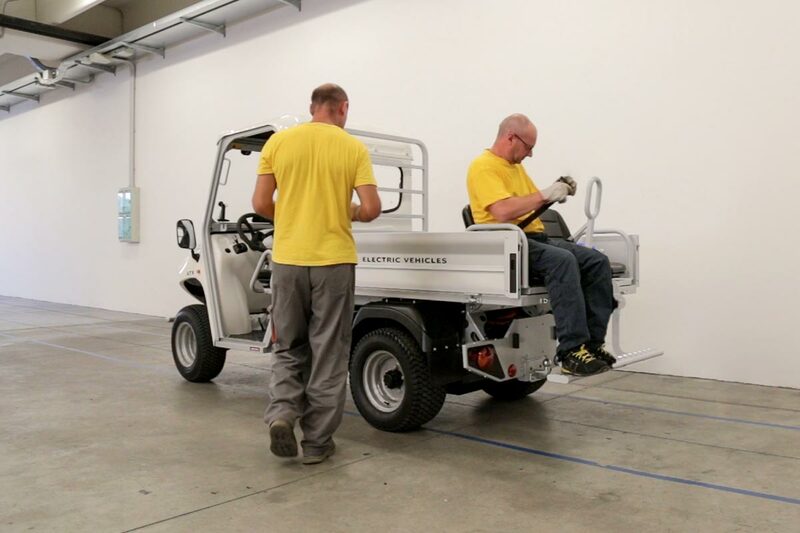 This solution, like most of Alke's configurations, is highly versatile because the benches can be closed away and the vehicle used to transport goods. The double cab with rear module with double bench version is a proper electric minibus that can accommodate up to 10 people. Compartments for luggage or equipment can be found under the two benches and opened both from inside and outside. The benches can be closed away and the loading area used to transport goods or equipment. With this solution all the seats are covered. 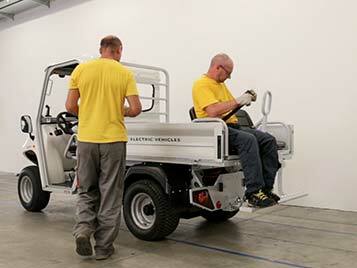 Send us a short message if you would like more information on our electric passenger carriers.